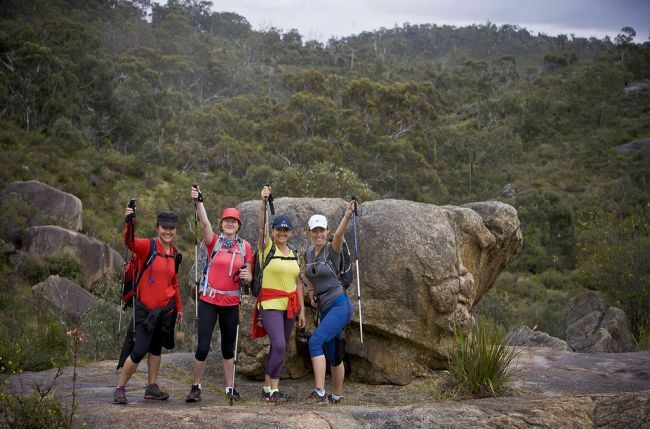 The Oxfam Trailwalker is an event that will challenge you physically, mentally and emotionally as you walk 100 km with a team of four within 48 hours. Oxfam Trailwalker is a global event to fight poverty and injustice for all people. Some of the main areas of support include indigenous Australians, health, emergencies, education, water sanitation, HIV and Aids, gender equity amongst others listed here. So why put yourself through 100 kilometres of pain you're probably asking? It's because for us it's a choice we get to make, where others don't have the luxury of choice. There are many ways to support Oxfam and the great work they do, you don't even need money to help. You can choose to volunteer at one of the Trailwalker events, you can take on the challenge of the 100 km walk, or you can donate money for participants or directly to Oxfam. To join one of the walks in Melbourne, Sydney, Brisbane and Perth you need to get three friends together to make a team of four, pay the team registration fee of $500- $600 (depending when you enter) and pledge to fund raise a minimum of $1400 per team. 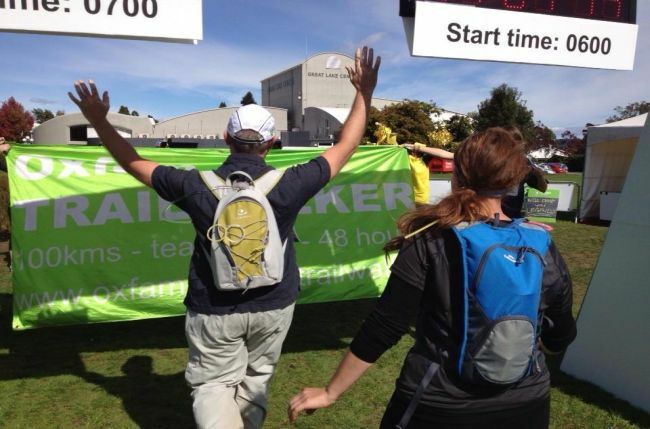 The first Trailwalker event for 2014 in Australia is Melbourne, held on the 2nd -4th of May. The walk starts in Jells Park, Wheelers Hill, through Churchill and Lysterfield parks on to the Dandenong Ranges, and works it's way to the eventual finishing spot in Wesburn (near Warburton). Entries for this event are now open and it's expected that 750 teams will enter the event. The Brisbane event is on 20th - 22nd of June and has a 100km an 55km option to choose from and will have 400 teams entering the events. The 100km walk starts at Maiala picnic ground and passes through rainforest in D'Aguilar National Park and on to Lake Manchester then winding around for 2 climbs around Mt Coot-tha and finishes at JC Slaughter Falls. For Sydneysiders the event date is yet to be decided but keep an eye out for any updates here. The Perth Trailwalker date is also yet to be decided. From my own experience of organising a team (which is limited, and still 1 team mate down) for the upcoming Melbourne event you need a team with the same goals, and preferably the same fitness level. Personality is also another point to consider, everyone is going to get a bit testy at times as exhaustion sets in and if you mix lots of big personalities together it's destined to be a memorable walk most likely for the wrong reasons. Try and get out on training walks/runs as a group when you can, not only is it fun but it strengthens the bond you have as a team and will help get you through when your feeling exhausted on the day. Organise a good support crew that will meet the team at check points and provide you with anything you may need. The main thing is to have fun, tick it off your bucket list, and just get out there and give it all you've got. 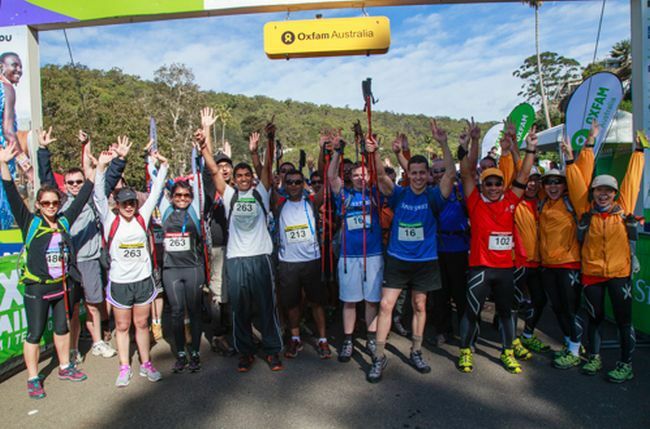 REGISTRATIONS ARE NOW OPEN FOR OXFAM TRAILWALKER PERTH - 2014! Sign up now athttps://trailwalker.oxfam.org.au/register/register_team/wa/770, contact us at trailwalkerperth@oxfam.org.au for more information.